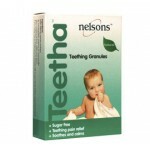 Nelsons is a family-owned business and the UK’s largest manufacturer of natural healthcare products. Nelsons' history begins with the founding father of homeopathy himself: Samuel Hahnemann. In 1860, his student, Ernst Louis Armbrecht, moved to London where he opened a homeopathic pharmacy and was able to put into practice the principles learned from his teacher. Ernst married Charlotte Nelson in 1866 and soon after began trading as Armbrecht, Nelson & Co., later to be abbreviated to A. Nelson & Co. Thus, the Nelsons brand was born. 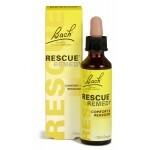 Their links with the Bach Original Flower Remedies go back to Dr Bach himself in the 1930s, with the relationship between Nelsons and The Bach Centre, based at Dr Bach's former home, Mount Vernon in Oxfordshire, continuing to this day. 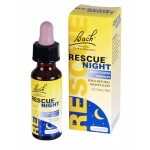 All of their Bach and comprehensive range of homeopathic medicines are produced in specialist manufacturing laboratories in Wimbledon. The standards of medicine which made the Nelsons Homeopathic Pharmacy famous worldwide are rigorously upheld today throughout their full range of over-the-counter products and their provision of the same high quality remedies, advice, expertise and service. 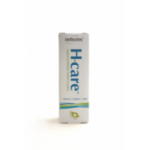 Today, they are Europe's oldest and the UK's largest manufacturer of homeopathic remedies. Key point: Nelson’s products can enable a reduction in emotional blockages that may be inhibiting health improvements.